If readers have some spare time on Wednesday afternoon, they might find something of interest listening to MPs on the agriculture select committee quiz witnesses on the government’s plans to extend next generation broadband to the Final Third. In fact, parliament has it wrong; the blurb advertising the hearing suggests it is about rolling out broadband to 90% of the country. Since this is presumably about Defra’s £20m contribution to remote rural broadband , which is ring-fenced from BDUK’s £530m (or £1.5bn – you pick a number…), here’s hoping it’s about the final 10%, and that MPs are more clued up than the blurb writer. BT is not being called to explain its plan for the final 10%. That is a pity, as it is the incumbent supplier. MPs could ask it to say, once and for all, where it intends to run fibre to the cabinet in the next three years. That would give would-be community network operator some protection against BT undermining their enrollment programmes with promises to build networks in competition, and then delaying build-out and/or providing inadequate facilities (see Ewhurst). The select committee meets on Wednesday 28 November at 3.00pm in Committee Room 16. The first bit is likely to be about more general topics, with rural broadband featuring from 3:50pm with Nynet CEO John Moore, and Malcolm Corbett, chief executive, Independent Networks cooperative Association (INCA) facing MPs. 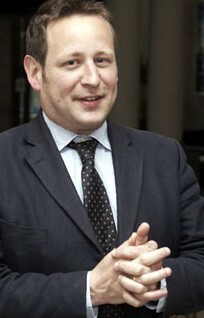 They will be followed at around 4:30pm by communications minister Ed Vaizey and BDUK CEO Rob Sullivan. Is there a livestream anywhere? Thanks Ian. It will be interesting to see and hear what is said. I hope that they ask about the deal Maria did in Brussels. We should be told the detail – it’s our money. re Ewhurst link to atricle. I though cabinets have 128 connections and BT put in more when they are full. Don’t councils have details of BT rollout to 2015 from commercial operators? This should include VM, Geo etc.? tried since 3pm to load the livestream. Even reinstalled silverlight and restarted browser and tried other browsers. If anyone finds an archive that works please could they post a link here. Thank You. “This meeting has not yet started. A media player will appear on this page shortly before the meeting begins”. Chris – Can you please unblock me on twitter!